Yes, the big day (14th.) is coming and it’s a great reminder to be romantic. However, should we need a reminder? We race through each week, treading furiously to keep our heads above water. The only time I think that I really get to talk to my one and only is at dinner so I try to make it something nice. This is a meal that I make at times when we’ve been drifting a bit and need something special. I need to make it in 20 minutes or less. Let’s not be crazy here-this is Thursday afterall. I’m thinking that this dinner (or another that I’ll show next week) would be great for Valentine’s day. 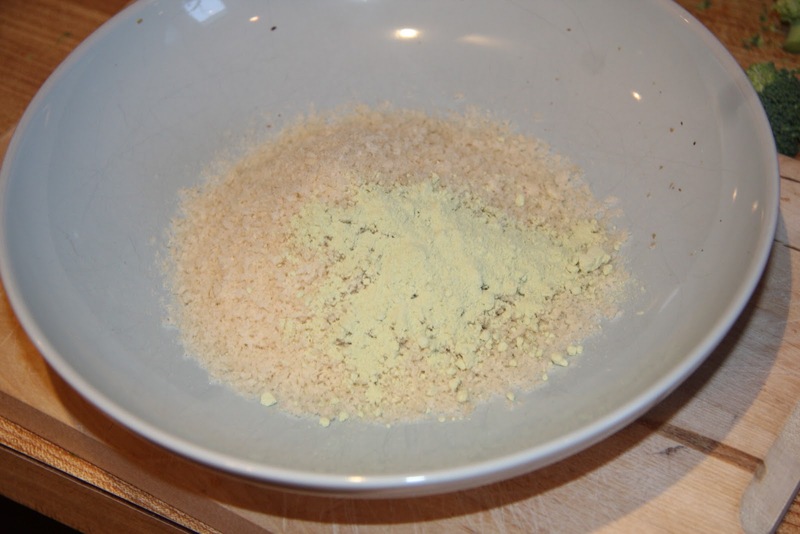 Take 2 cups of panko crumbs and mix in 2 T. wasabi powder. 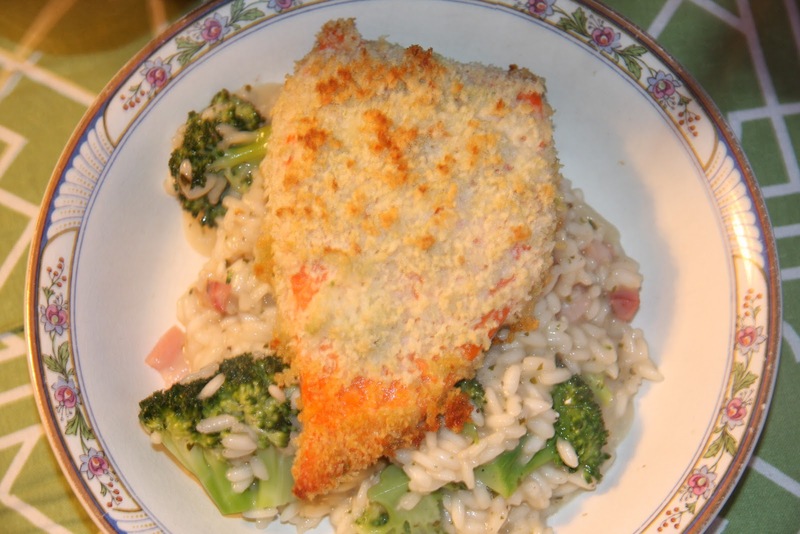 You could used any crumbs for this and add any seasoning that you really like. This is my favourite. 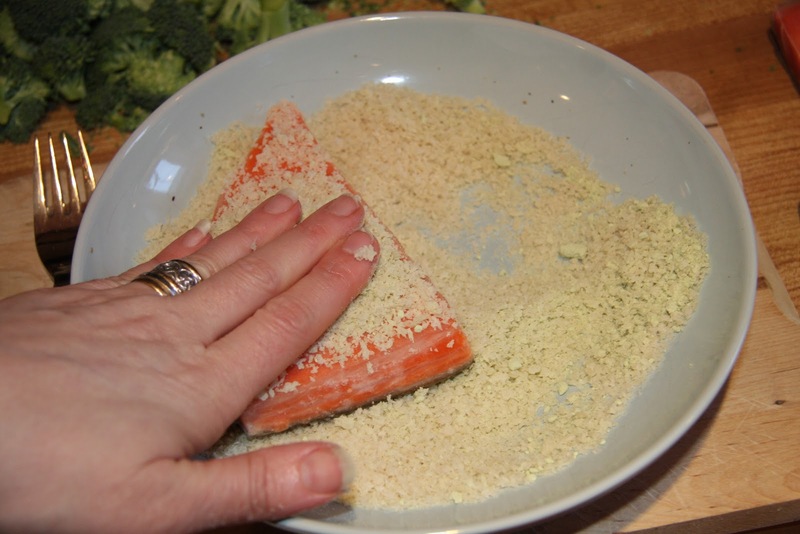 Press a salmon filet into the crumbs to ‘bread’ them. Place on a cookie sheet that is lined with parchment or silicone. 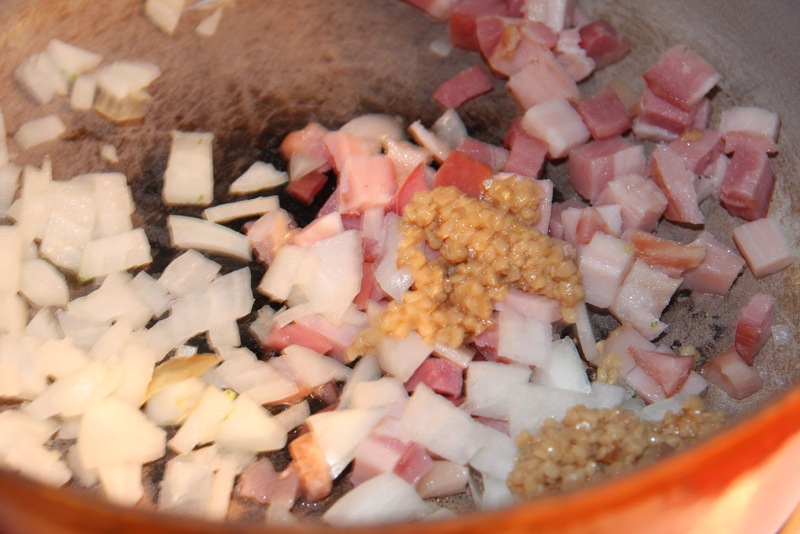 In a heavy pot, saute: 1/2 cup chopped pancetta (or bacon), 1/2 onion and 1 tsp. chopped garlic. Add in 2 T. parsley (I’m using frozen. If you have fresh add it at the end). 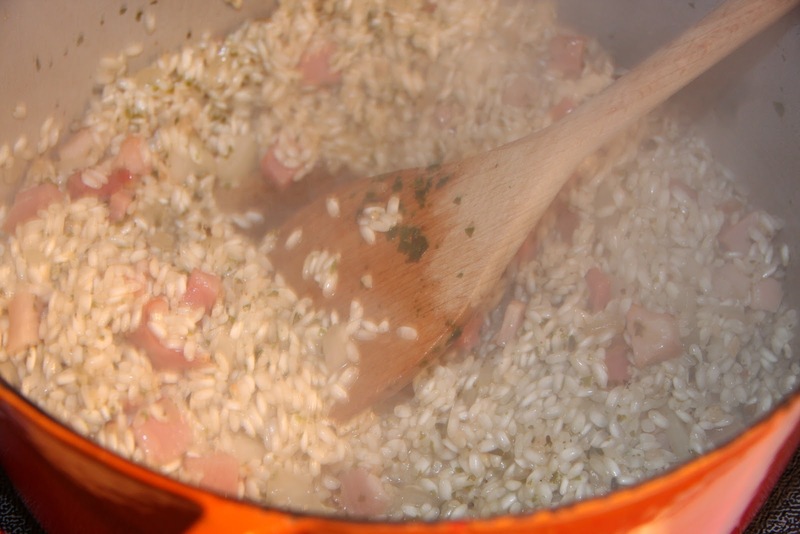 Add 2 cups of arborio rice. 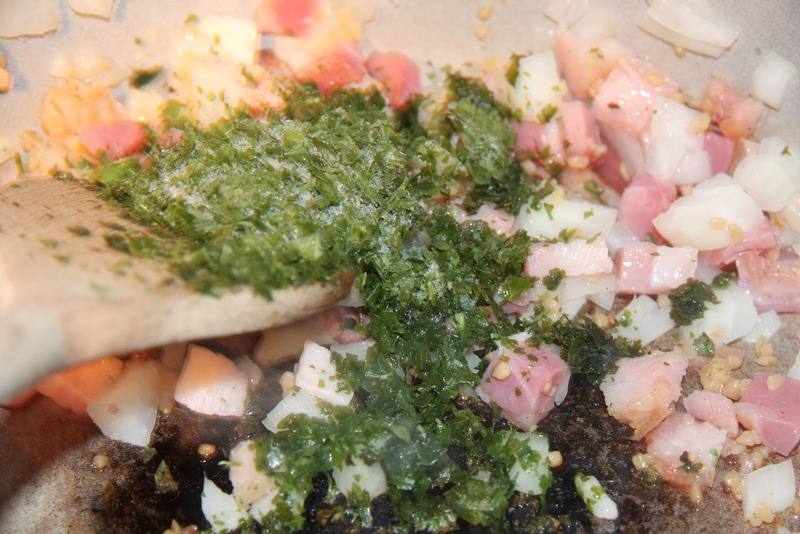 Saute for 30 seconds to coat everything in the pancetta fat. Add 1/2 cup of white wine (don’t drink? skip this step and go to the next). At this point put your salmon in a 400 degree oven and cook until browned (about 15 minutes). 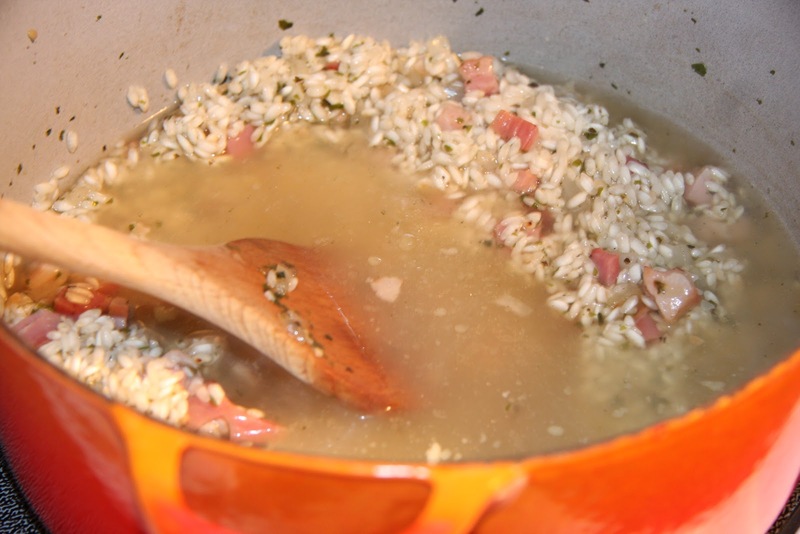 Add 1 1/2 cups of chicken stock, stir and let be absorbed by the rice and keep repeating these steps (add, absorb, add absorb…) until you’ve added 5 cups of stock in all. 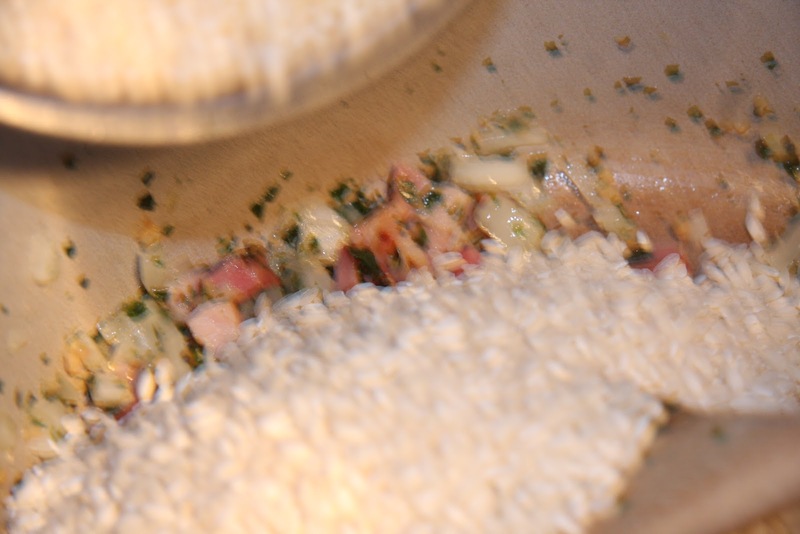 By then the rice should still have a bit of bite to it and about the consistency of porridge. Be gentle when you stir. 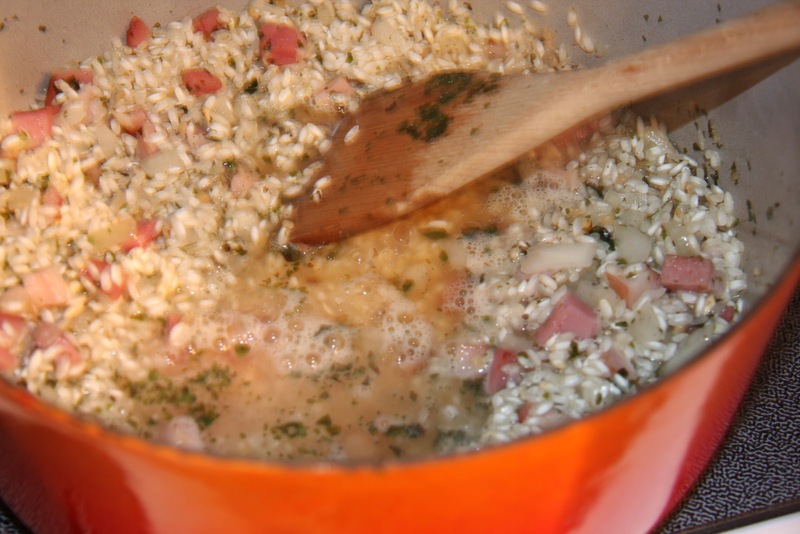 If you break your rice up too much this will be icky mush. 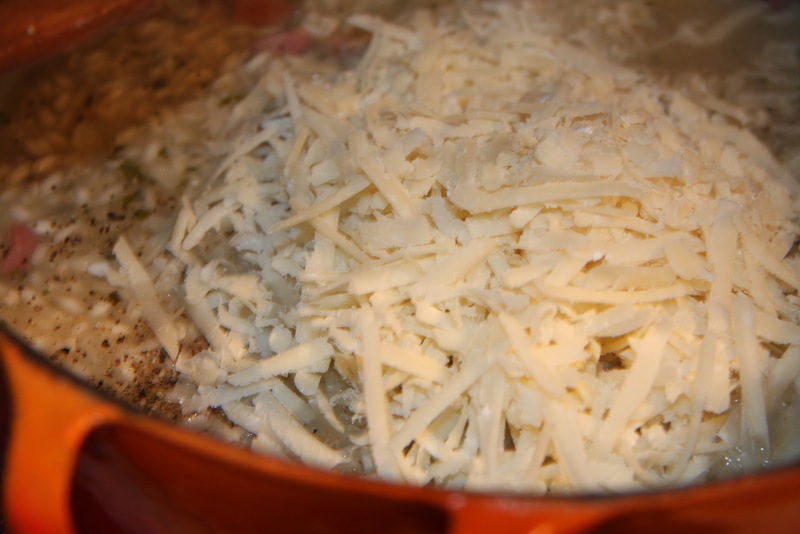 Add; pepper and 1 cup of grated parmesan. You can have as is at this point or add some greens. 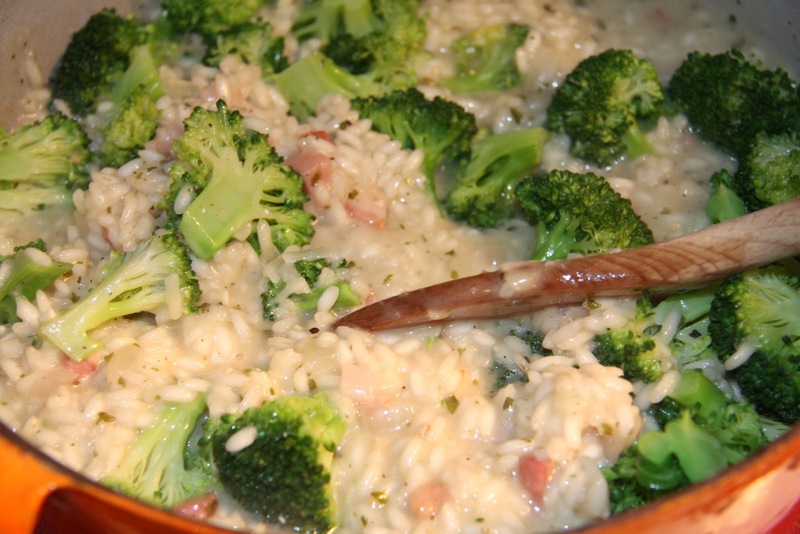 I’ve got steamed brocolli but asparagus or peas are lovely too. By now your salmon will be ready too. This look tasty! 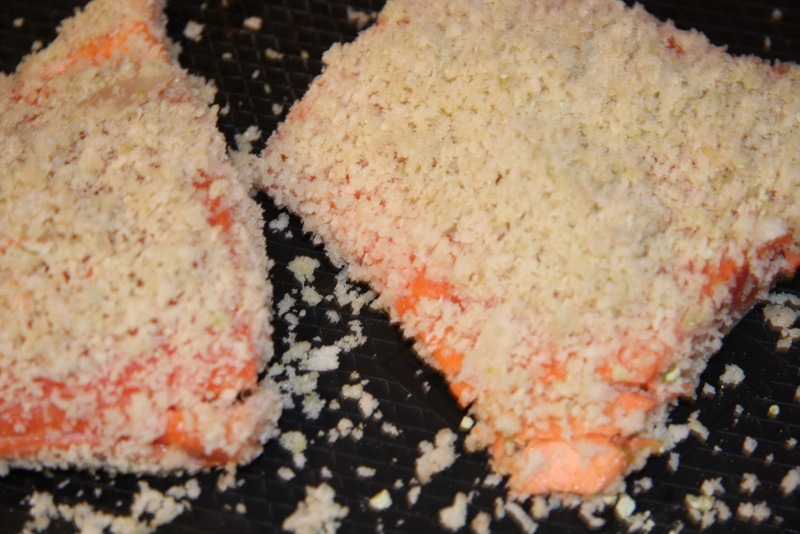 I love salmon and your recipe looks fairly easy! I hope you have a wonderful week!